Young Boy Big Dreams! 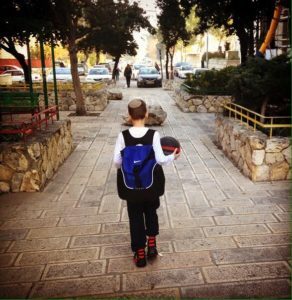 Feeling inspired watching my son Matanel walk to school. Most people would see trees, street signs and rocks. He sees hoops, fans and defenders. He doesn’t care what others think of him while he’s making his moves on the sidewalk – as his imagination is his happy place. His actions remind me of a prayer from the morning services אל תגעו במשיחי which literally means don’t touch my Messiah – symbolically it means we shouldn’t put other people’s dreams down or our dreams. Let’s try and help others reach their dreams and we should also have the resilience to go after our unique dreams.